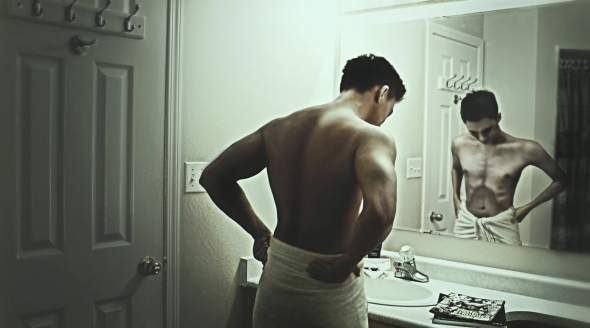 Muscle dysmorphia is a disease where the person either male or female believes that they are not muscular enough, it stems from the disease body dysmorphic disorder which is a compulsive-obsessive disorder. It is sometimes commonly called bigorexia, people who are affected by this disease are commonly body builders and they will obsess about their size believing they are small and underdeveloped. Very similar to the anorexic who firmly believes them selves to be fat even when in fact they are painfully thin the person suffering from muscle dysmorphia will see themselves as underdeveloped and will continue endlessly lifting weights and doing resistance training in order to bulk them selves up. The person may use weight gaining powders to dangerous levels along with other muscle building drugs with some even resorting to taking steroids. Almost everyone suffering from this disease will also suffer from depression; in their constant attempt to get bigger the person will spend more and more time at the gym lifting weights and doing almost continual exercise to the point of exhaustion. The majority of people who suffer from this disease are far from thin, in fact in most cases it is the total opposite and many have well developed muscular body’s and have trained for and competed in body building competitions. People suffering from muscle dysmorphia will not stop exercising even when they are injured but instead just push themselves further seeing injury as just another form of weakness that they should be able to overcome. Almost all of the people who are affected by the disease won’t admit to having a problem in the first place, and as such will resist any treatment or form of help that may be offered to them. While very few will admit that they do need help and there is a problem for fear that if they stop exercising they will wither away to nothing. The first major step to getting treatment and returning to a normal way of living is for them to admit the problem and see how it is affecting their lives. Their disease will have had an affect on their day to day living, family, friends, and careers and of course more importantly on their health. For those few who admit to their problem treatment will consist of cognitive behaviour therapy combined with medication for their depression.